IATA vs ICAO vs FAA – What do they mean? An explanation on the origins and history of codes used by airports around the world. Airports around the world are commonly identified by their 3 and 4 letter codes. These codes are assigned by IATA, ICAO, the FAA and other civil aviation organizations. Although some codes are a no-brainer – John F. Kennedy Airport (JFK); Dallas/Fort Worth (DFW) – some of them leave more questions than answers. Where do these airport codes come from and what do they mean? What’s the difference between the organizations assigning them? How did they get ORD for Chicago O’Hare, and why wasn’t ORD given to Orlando, who instead goes by MCO? First, it helps to understand the objective of these organizations before determining how each one is assigned, and the meaning and history behind them. Basically, the ICAO is focused on civil aviation regulations, whereas IATA is a trade association for airlines. 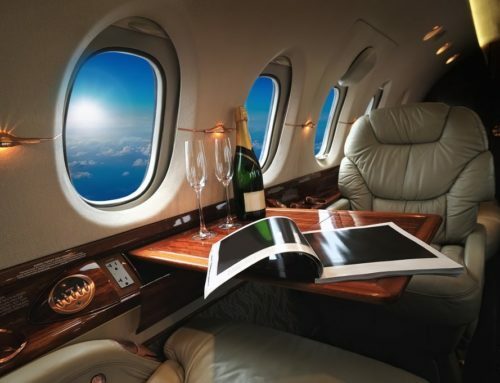 The FAA is the United States’ civil aviation authority, governing domestic airlines, their operations and regulations. 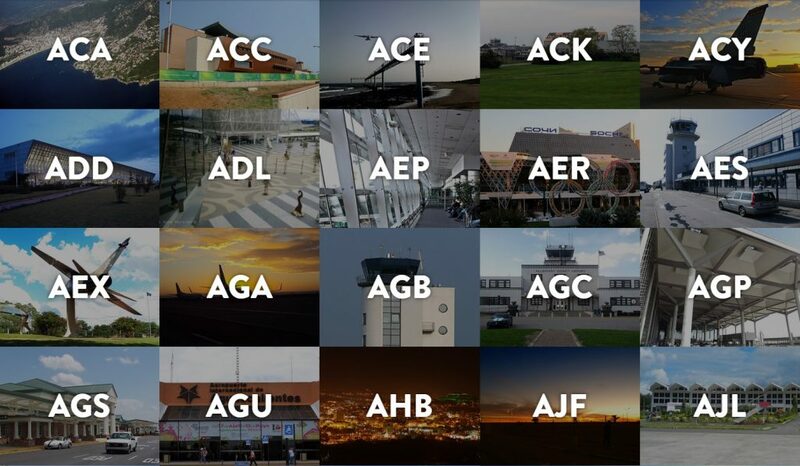 Check out all of the airport codes around the world, and learn more about the organizations below. ICAO (International Civil Aviation Organization) is a United Nations organization which represents the aviation authorities and focuses on international civil aviation regulations. ICAO’s 4-letter codes are used for “official” purposes such as Air Traffic Control; flight plans use ICAO codes for airports and airline flight identification. ICAO codes are commonly seen within the aviation industry and on private flight-tracking services such as FlightAware (www.flightaware.com), whereas passengers more often will see IATA codes on their tickets and luggage. IATA (International Air Transport Association) is a trade association that represents the airlines IATA codes are mainly used for ticketing; travel itineraries use IATA’s 3-letter codes for airports and IATA flight numbers. 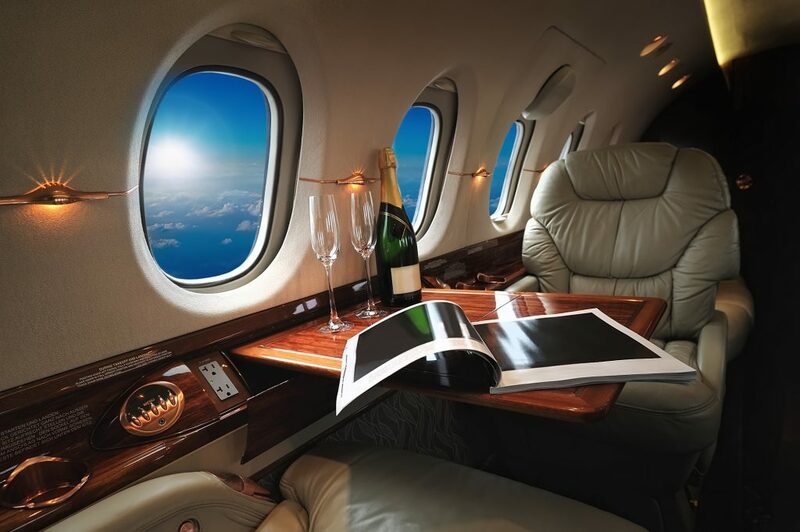 The assignment of these codes is administered by the Montreal-based International Air Transport Association (IATA) and the codes cover locations (mainly airports) around the globe. 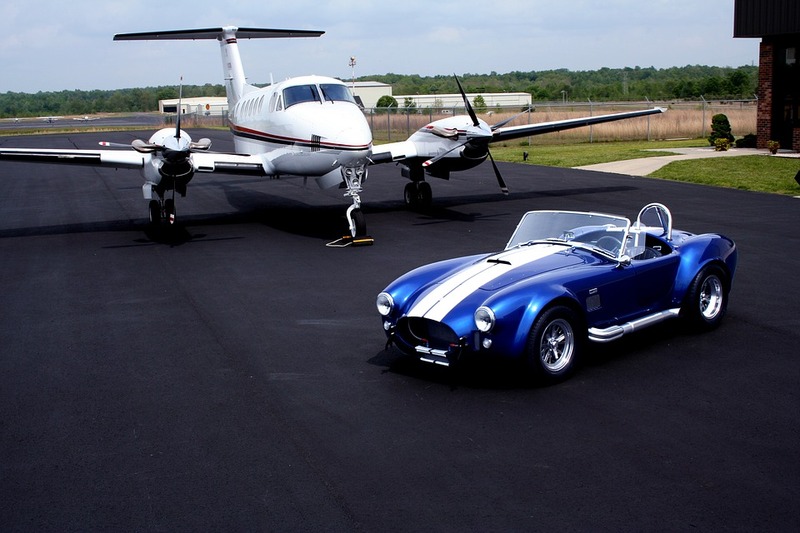 The FAA is the governing body for aviation in the United States. FAA codes are more often than not the same as IATA codes, minus the first letter (usually K), although there are some cases where IATA and FAA codes mean different airports altogether. Oh, and in case you were wondering… there is no WTF airport. I know. We’re kinda disappointed, too. During the early years of aviation, an airport was considered any open field with a strong wind, and no formal identifiers were used, or even necessary. As commercial airlines became more accessible and air travel gained popularity throughout the 1930’s, a three-letter system was used to create a seemingly endless amount of combinations — it’s actually 17,576. So how did they decide which letters to use for airport identifiers, and why do some of them seem unintentionally encrypted? We’ve got your codes covered from (AAR) Aarhus to (ZRH) Zurich, and what they mean. 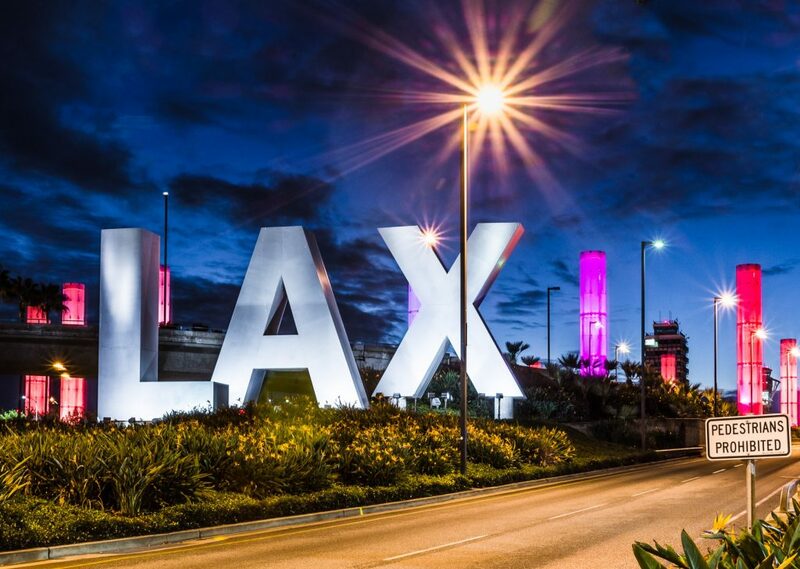 To make things easier, airports began using the same two letter city code the National Weather Service assigned to their hometown, then placing an “X” at the end. That’s why we have LAX for Los Angeles, PDX for Portland, and PHX for Phoenix. 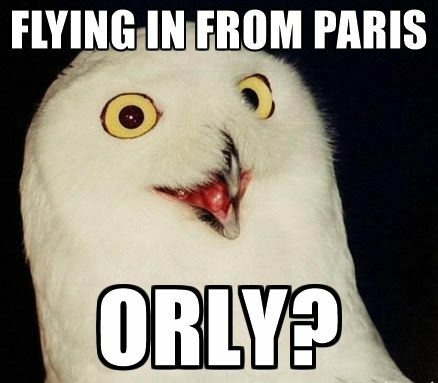 Some take their call letters from the city they’re in regardless of their formal name — (SNA) John Wayne Orange County Airport in Santa Ana, California; others ignore the city altogether and use its common name — (CDG) Charles De Gaulle Airport and (ORY) Orly Airport in Paris, France. (PGV) Pitt-Greenville — Pitt County, North Carolina. Mumbai (BOM – westernized as Bombay). For the record, the U.S. National Parks Service maintains a tiny airstrip called FFA at the historic sand dune in Kitty Hawk where the first flight occurred — First Flight Airport. Why do airports sometimes use seemingly unrelated codes that don’t match their name? Many of these come from a designation code given to a former or historical name. Take Chicago, for example — in the 1940’s, Orchard Place was a small community just west of the city and the site of a military airport; the airfield was also a manufacturing facility for Douglas Aircraft, and Orchard Place Airport – Douglas Field was given the code ORD. In 1949, the airport was renamed after WWII pilot and Medal of Honor recipient Edward Henry “Butch” O’Hare; however, no one bothered changing O’Hare’s original designation, leaving it with ORD. Similarly, Orlando uses the code MCO, not because it serves flights to Mickey Mouse’s door-step, but from it’s origins as McCoy Air Force Base prior to becoming the gateway to the happiest place on earth. Frustration here is evidenced by people informally referring to MCO as OIA instead (Orlando International Airport). Louis Armstrong International is the main gateway into New Orleans, but its code MSY is in honor of aviator John Moisant and the nearby Moisant Stock Yards; NOLA’s Lakefront Airport owns NEW despite changing its name from New Orleans Airport more than 6 decades ago. 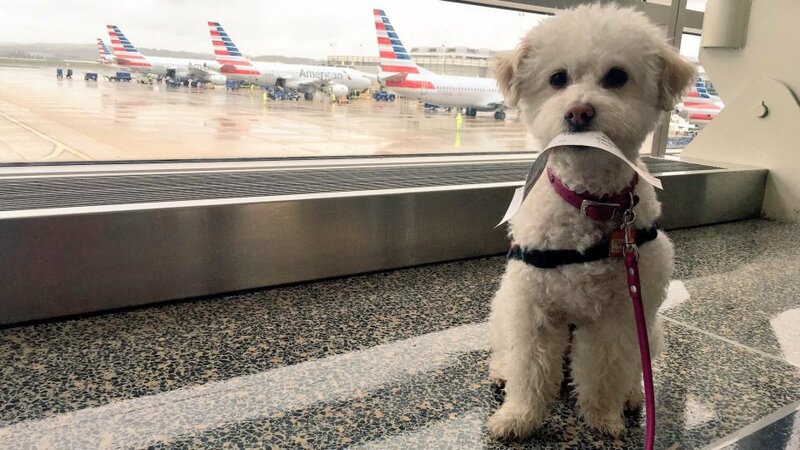 Are These Airport Codes Backwards? Ronald Reagan Washington National Airport uses neither a ‘W’ nor an ‘N’, instead going by the code DCA for District of Columbia Airport. After the newer Dulles airport was completed just outside of the nation’s capital, it was assigned the code DIA (Dulles International Airport). 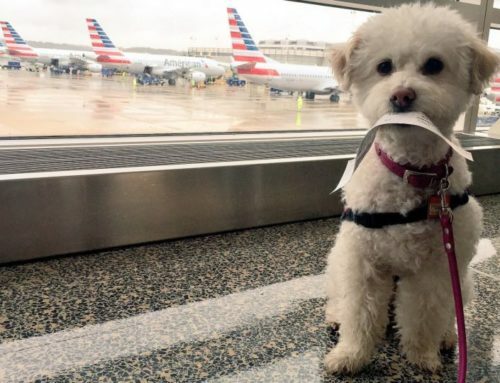 DIA and DCA became easy to confuse when written by hand on notes or luggage cards, so instead, we turn it backwards and get International Airport Dulles, or IAD. There’s actually a rule that led to a similar letter reversal in Houston – the first and second letters, or the second and third letters of an identifier may not be duplicated within less than 200 nautical miles. Houston was already using HOU for William P. Hobby airport, and with the 200 mile rule in effect, the new airport was given the code IAH, for Intercontinental Airport Houston. YYZ is the airport identification code of Toronto Pearson, an international airport located near the hometown of the band Rush. 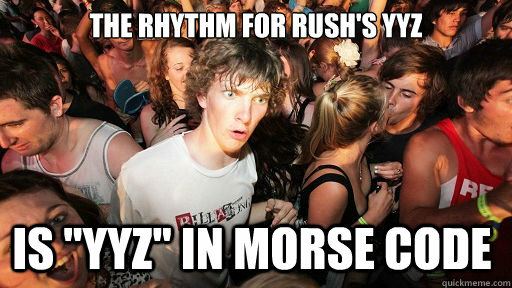 The band received inspiration for a new rhythm using an unusual time pattern as Rush guitarist Alex Lifeson — a licensed aircraft pilot — flew the band into the YYZ airport. A VHF omni-directional range system at the airport was broadcasting the YYZ identifier code in Morse code, and Drummer Neil Peart said in interviews later that the rhythm stuck with them, and he and and singer Geddy Lee have both said “It’s always a happy day when YYZ appears on our luggage tags”. The band went on to write an instrumental song in 1981 titled YYZ, and its introduction is played in a time signature of 5/4, repeatedly rendering “Y-Y-Z” in Morse Code — the letter “Y” is assigned to the snare, and the “Z” is given to the kick drum. There is no gate 13 at any of the six concourses at Miami International Airport, and it’s particularly noticeable in Concourse F where F11 and F15 share the same counter, with F13 nowhere to be found. There are also planes without a 13th row, going from row 12 to row 14 instead. Then there are times when airport codes have been used in the face of superstition, telling mysticism to go to HEL and back. 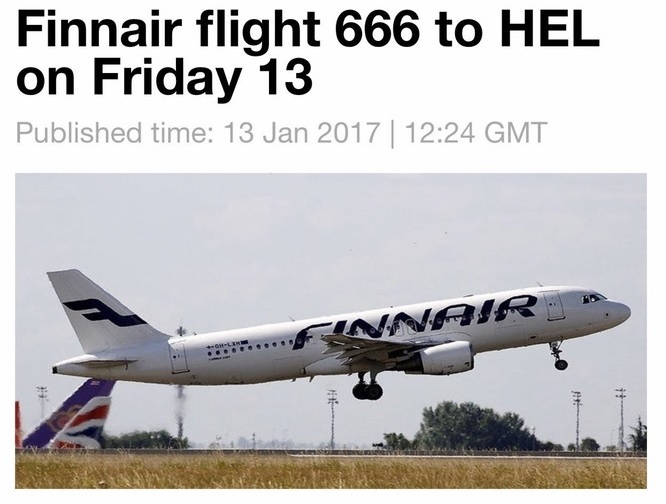 In January of 2017, Finnair, Finland’s national airline, completed flight 666 to HEL on Friday the 13th, departing at 13 o’clock on a 13 year old aircraft — the route was from (CPH) Copenhagen to (HEL) Helsinki Airport, and it safely arrived on schedule. Codes you don’t have to consult your nearest teenager about. 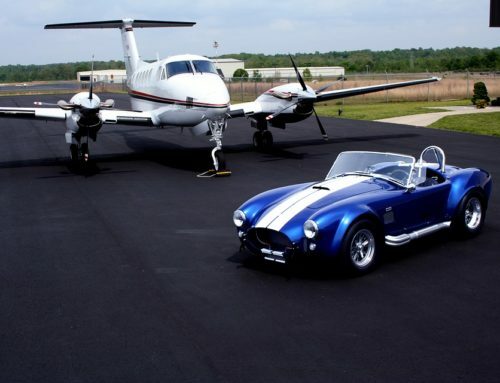 While it may sound like a private airport for cougars (both kinds) or Austin Powers’ preferred landing pad, GRR is actually the code used for Gerald R. Ford International Airport in Grand Rapids, hitting a rare twofer with both formal and city names. Some airport codes are enough to make a group of kindergartners giggle. Okay, we did too. If you’re into sophomoric humor, you’ll love taking a flight to PEE, our favorite unfortunate designation, given to Bolshoye Savino Airport in Perm, Russia; our number-two pick is Poco De Caldas Airport in Brazil, better known as POO. 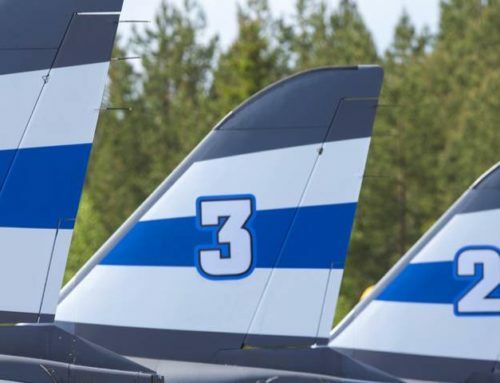 Maintenance and upkeep ought to be a top priority for New Zealand’s Rotorua Regional Airport, otherwise it’s just ROT, and Fresno Yosemite International gets called FAT a lot thanks to its code from a previous name, Fresno Air Terminal. Japan’s third-busiest airport is located in the city of Fukuoka… we’re just going to leave that one to your imagination. Here’s a list of some of our favorite Airport Identifiers and how they came to be known by those letters. When Dubai International opened in 1960, DUB was already in use by Dublin. DuBai subbed an X for the U, making its unique airport code of DXB. When airport identifiers switched from two letters to three, the Navy reserved all codes starting with N. NEWaRk, then, used the other letters in its name to make EWR. Timbiqui Airport, a small airfield in a remote area of Colombia, uses the code TBD — we’re not sure why, nor are we sure if they ever meant to come to a final decision on it. Airports starting with the letter Y designate Canadian airports. The YZ isn’t as clear but is said to be the old railway station code for Malton, an area west of Toronto where the airport is located.